1977.03~1981.02 B.Sc in Electrical Engineering, Seoul National University, Seoul, Korea. "Line-Integral Approach to NMR Imaging -Optimization Study of RF and Gradient Pulse"
"Study of Chemical-Shift Imaging in Nuclear Magnetic Resonance Tomography"
1983.03-1986.02 Research Staff in Gold-Star Telecommunication Research Institute, Anyang, Korea. 1988.03-1989.06 Postdoctoral Fellow, Imaging System Science Lab., Dept. of EE, KAIST, Seoul, Korea. 1989.07-1992.03 Research Associate, Image Computing Systems Lab., Dept. of EE, University of Washington, Seattle, WA 98195, U.S.A.
1992.05-1993.07 Senior Executive Researcher, Computer & Information Research Center, Samsung Electronics Company, Kyungki-do, Korea. 1988.02 “1987 Institutional Best Thesis Prize,” Korea Advanced Institute of Science and Technology, Seoul, Korea. 1993.09 "Minister Prize for Contribution to Multimedia,” Ministry of Communication, Korea. 2000.11 "Medison Biomedical Award”, Korea Society of Medical and Biological Engineering. 2012.02 "Research Best Award" KAIST. Associate Editor for International Journal of Imaging Systems and Technology (IJIST) since Nov. 2002. Guest Editor for special issue of IJIST (Human brain imaging), June 2008. Korean society for engineering education. 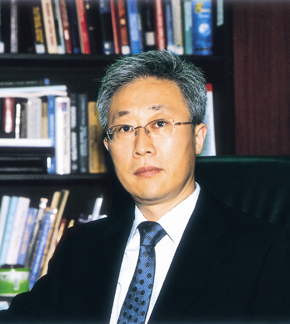 Director of Korea Society for Engineering Education, 2005.01-2005.12.